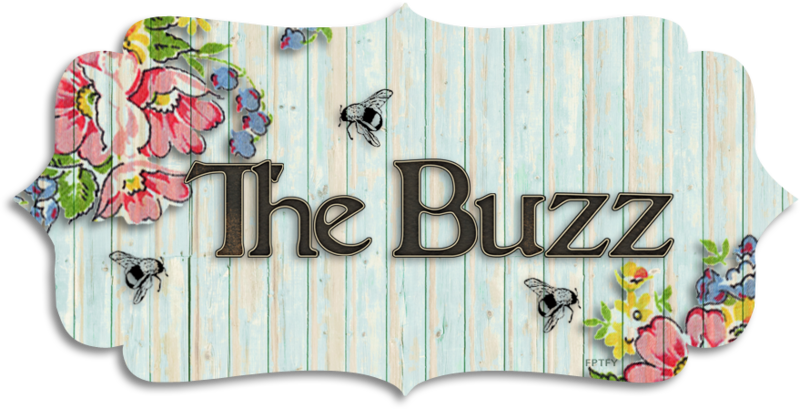 The Buzz: Lots of Valentines! It's a pretty simple layout. I like that I could showcase the patterned paper and I used up some scraps. The images are stamped onto my favorite white card stock and colored with Copic markers. I also added sparkle where I could using my Wink of Stella glitter brush. These were quick and easy to make. The hardest part was selecting the stamps and patterned papers. I finished off the insides of both cards the same way, so I'll just show you one here. I am absolutely in LOVE with that tiny heart from Lawn Fawn. I think I used it on every single Valentine's Day card I created this year. I only used one color of ink here too. 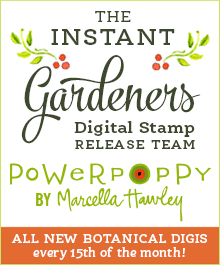 I did some generation stamping...getting more bang for my buck! Then, I remembered I needed a little gift-y for a friend and I thought, what the heck, let's roll with this layout, so I created this. 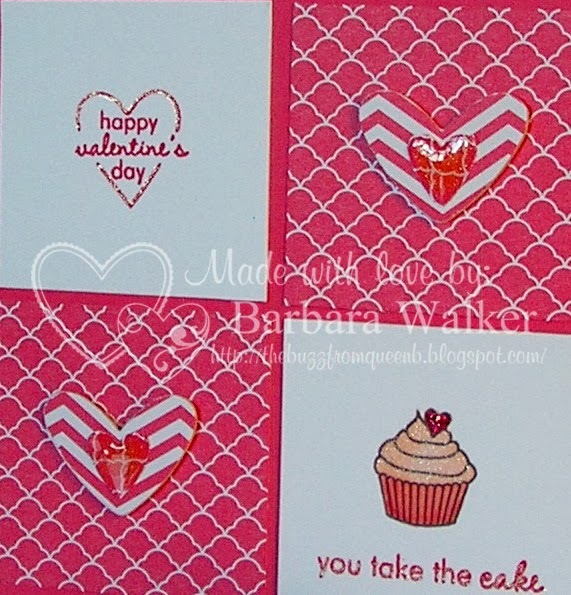 I'm also loving that Strawberry Slush color from Stampin' Up! It's so pretty in real life. You can also see that I added sparkle with a glitter pen, used my Wink of Stella on the frosting of the cupcake and glittered the little heart, too. This friend appreciates my sparkles or maybe not...she tells me I have far too much time on my hands! LoL! No matter...I don't let anyone dull my sparkle!! I like the way it turned out. Sooo...wanna see the inside? Okay! Surprise! Guess what? YES! More sparkles!! Hahahahaha!! I don't know if these look silver or gold on your monitor, but they are neither. This was silver glimmer paper and using a sponge dauber and pink ink, I sponged on a little ink and the result is a soft, subtle pink shade that is so so pretty! Well, I didn't stop here. Remember, I said I needed a gift-y thing. 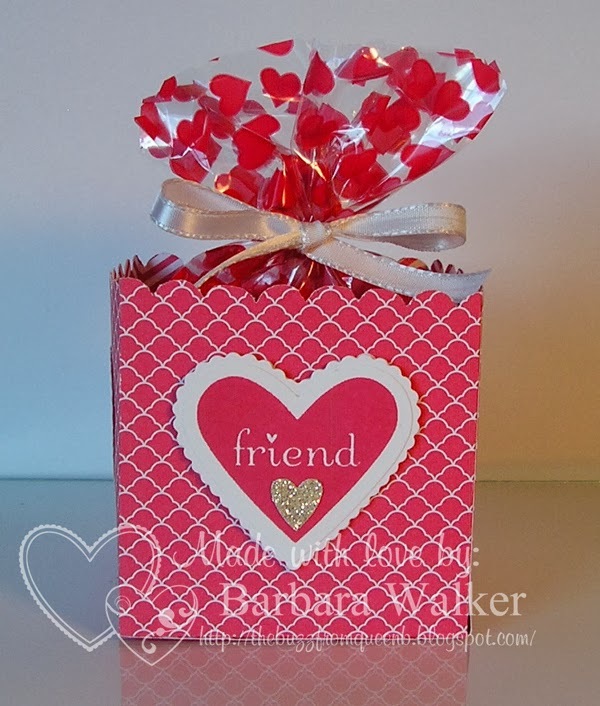 Sooo...while visiting Angie Juda of Chic' n Scratch blog, I saw THIS sweet little box and I thought it was perfect. 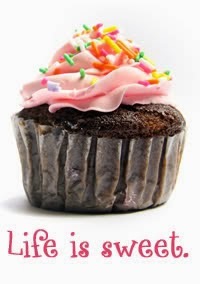 If you've never been to Angie's blog, you should, you're missing out. 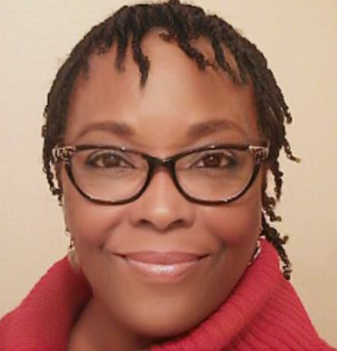 She creates the cutest things with paper and most include a video tutorial and a PDF. All of her creations are super easy to make and of course they can be adapted to whatever papers or stamps you have in your stash. Ok. So, here is the set I am giving to my friend. The patterned papers are the same. On my monitor, I'm getting two different colors, but I assure you they are the same. I whipped up a few more of these boxes to give treats to my daughters. It really holds a lot. But, since it is just paper, I didn't overload it. There are four mini York Peppermint Patties in there. Had I used card stock or a heavier weight of paper, I could have added more. Whew! That is it for me today. I have had a blast creating all of these Valentine's Day cards. I hope you have enjoyed seeing them. 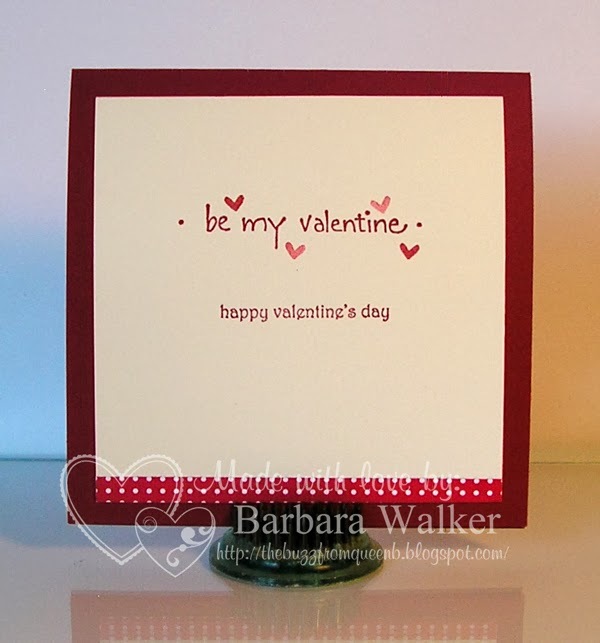 Wow, Barb, you've been busy as a bee creating these adorable valentine cards and treats. I totally love all the sparkle. (You are one of the main influences on me for getting the Wink of Stella!) it's great that you used up some scraps, too. I love your colors, papers and techniques. I hope your Valentine's Day is super! 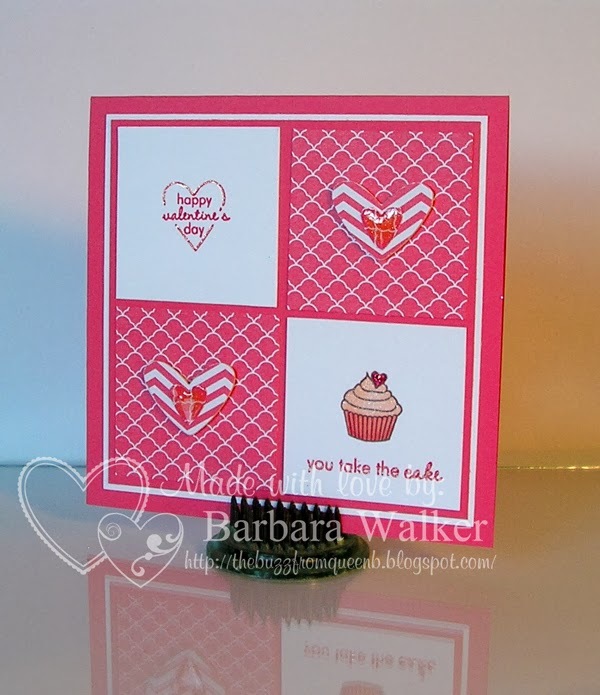 Love, love, LOVE your cards and goodies, Barb! Oh what lucky daughters and friend. I'm smiling so big looking at all this loveliness. Adore the papers and the sparkle. You can never, ever have too much sparkle. Thank you so much for sharing what you've been making. 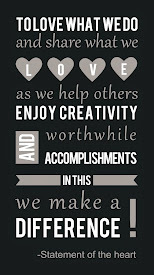 I adore what you create! Have a Happy Valentine's Day!